FLOWERY BRANCH, Ga., (March 16, 2017) – Crews from Prime Retail Services are working on a large project setting up a new location for a sporting goods retail chain in North Carolina. Prime’s teams installed fixtures and peg hooks, a “triptych” graphic and a lighted valance in the marine area. Crews also assembled displays for fishing and boating equipment. 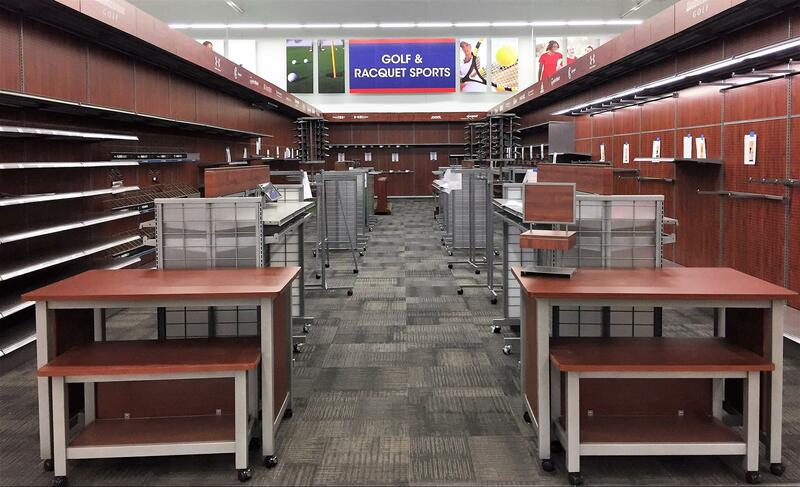 In the Golf Valley and Racquet Sports area, Prime teams assembled 12’ gondolas in a mahogany finish with lighting and shelving, graphics, and a variety of fixtures including putter and racquet displays.